Waterfront Station in downtown Vancouver is the terminus SkyTrain station of both the Expo Line and Canada Line, and according to Translink, it's the busiest station, based on number of boardings. You can also connect to the SeaBus and the West Coast Express here. There are three entrances to Waterfront Station: the main entrance on Cordova Street, an entrance on Howe Street that connects to... You can catch this bus from Waterfront Station or Granville Station on the Expo and Millennium Line Skytrains, or from Olympic Village Station on the Canada Line. If you are driving, there is a combination of free and paid parking on Granville Island. Getting To/From the Airport. You have several options to get downtown. If you don't have a lot of luggage, you can take the Skytrain. Fares are $9.10 M-F before 6:30pm or $7.85 after 6:30pm, weekends and holidays (two zone travel plus $5 addfare for DEPARTING from YVR or any Sea Island station). 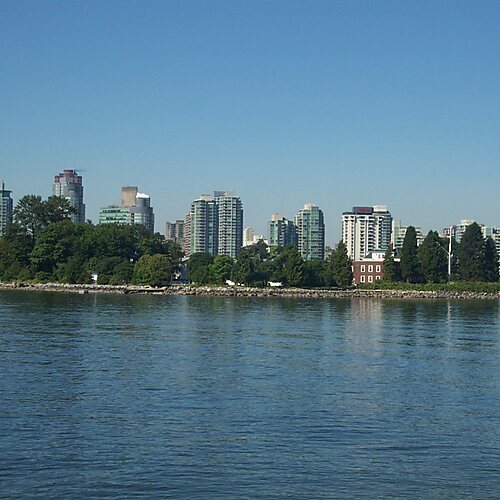 The Canada line runs directly from the airport to the downtown area and ends at the Waterfront station where you will get off. 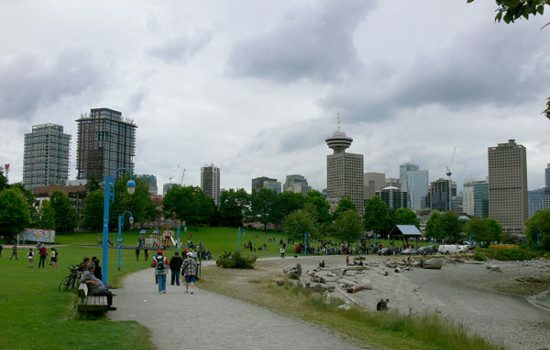 Waterfront station is located within the walking distance and depending on the size of your luggage, it will probably take you between 10 to 15 minutes to walk to the hotel.